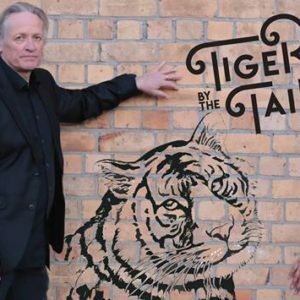 John Davies and his new band Tiger by the Tail will do a set of 20 original songs. Tiger by the Tail are John on vocals and guitar, Valda-Ann Shadbolt and Amyee Karaitiana on vocals and Max Easey on bass. As a member of Red Mole for 10 years, John collaborated with poet Alan Brunton on numerous songs, and this collaboration with the late poet has continued with 10 new tunes as part of this set. The genre is Folk Urban Blues characterized by close harmonies, intimate arrangements and sounds distinctly Aotearoa-West Auckland.